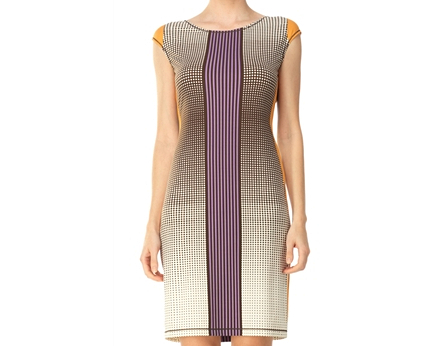 Wow your wardrobe with the visual boost of this geometrically printed cap sleeved dress. The soft and perfectly packable matte jersey is silky with a comfortable, warm weather weight. Look closely at the geometric prints that lend this dress its cool playfulness, and the vertical stripes that elongate and flatter the body. An effortlessly chic piece to slip on for work, evening and weekend getaways. Fits true to size with a hint of stretch.